In this work, we present the synthesis and characterization of a new surfactant molecule obtained from a byproduct of the cashew nut processing (diphosphorylated cardol, DPC). 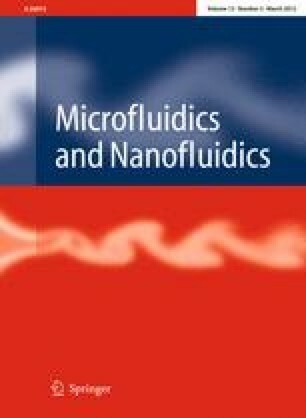 It is herein used to overcoat magnetic nanoparticles showing spinel structures in order to create new ferrofluids. The nanoparticle structure and magnetic properties have been deeply investigated. DPC-functionalized Fe3O4 and NiFe2O4 samples exhibit higher magnetic saturation than DPC–CoFe2O4. These new ferrofluids reveal appealing as possible nanoparticle stabilizing molecules, magnetic resonance imaging agents, storage systems or in any material science field that requires the employment of biocompatible magnetic stable fluids. This work was supported by CAPES, Funcap and CNPq (Brazilian agencies). The support from Fondecyt 1110252, Millennium Science Nucleus, Basic and Applied Magnetism Grant No. P10-061-F and CONICYT BASAL CEDENNA FB0807, is gratefully acknowledged. The authors thank CENAUREM (Centro Nordestino de Aplicação e Uso da Ressonância Magnética Nuclear) for the NMR analyses.